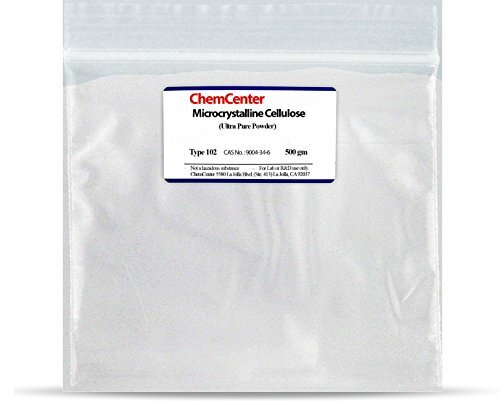 You are bidding on 500 grams of Ultra Pure Microcrystalline Cellulose (Type 102). The Pic is of a 1 kg bag. This is the finest quality Microcrystalline Cellulose you will find anywhere!! Your sample will be sent in plastic ziploc bags due to size constraints, and to save on shipping costs. Current catalog price for this is about $40 !! Buyer agrees to use this material in accordance with all state and federal laws. For Lab, R&D, or scientific use only. Shipping will comply with all USPS regulations. Not DOT regulated. Picture may not reflect new GHS labeling.